Q.What’s the difference with MIT Cables? MIT Cables Multipole Technology: MIT Audio Series cables are based on the exclusive patented Multipole Technology, Only MIT Cables can provide levels of performance for each listener’s needs, from our latest and most advanced ACC 268, 206, and 169 (Articulation Control Console) Series providing the ultimate most ethereal level of sonic experience – “Stratospheric” as penned by Robert Harley of The Absolute Sound, the heralded Oracle SHD Series of interfaces for the highest reference level experience, the Heritage Series comprised of two categories – 2C3D Level 1,2, and 3 and the EVO One, Two, and Three – the SL-Matrix Series of audio interfaces offering our legendary High End performance distilled down to more reasonable price points, and finally the Vero Headphone Series including the Vero 50ex Headphone Amplifier and the Vero Headphone Cables and Dongles – all built with Multipole Technology. 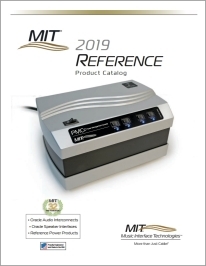 MIT Cables Phono Series for the Vinyl audiophile, includes our patented Multipole Technology – to present more of the recorded event. 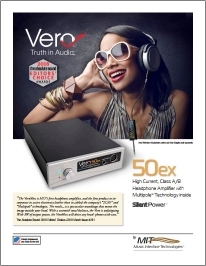 Better bass, better mid-range, and smoother highs painted on a “blacker background” are realized. 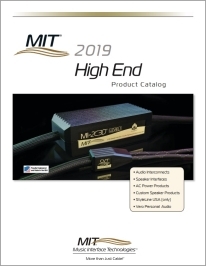 MIT Cables Filterpole Technology: MIT Power Series is based on MIT Cables exclusive patented Filterpole Technology providing power conditioning solutions to address “powerline noise” to improve your audio and video experience. 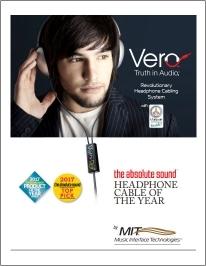 You too can enjoy the same quality of experience from MIT’s Mulitipole and Filterpole Technology chosen by the High-End Audio sector, the Movie Industry, Professional Recording Engineers earning multiple; “Editors’ Choice”, “Product of the Year”, “Writers’ Choice”, “Best Sound”, “Best of Show”, “Best Sound Editing”, “Best Sound Effects Editing”, Grammy Awards, Academy Awards and nominations, countless industry accolades and an ever growing, decades strong satisfied customer base.